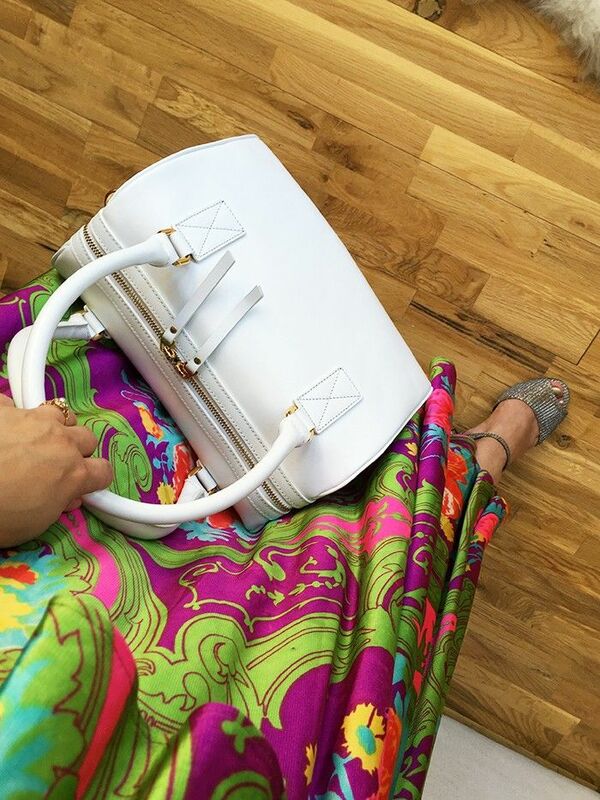 Finding the perfect handbag isn't as frivolous or fun as it sounds, wouldn't you agree? Hard graft goes into my final purchases. The ultimate bag for your working wardrobe alone has to fulfill a tough criteria: a chic, big shoulder bag that goes with everything year-round, doesn't wear out, carries a laptop with ease, won't date and has you feeling excited about carrying it every day. Demanding much? Locating the perfect mini crossbody number for nights out results in a similar story. Or how about a clutch that goes with every single event look you've got to pull together in a summer? Hmm. So that's why I was intrigued to discover Mon Purse. This Australian design-your-own handbag site launched last year and has already been piquing the interest of fashion lovers and savvy tech-startup investors alike. Important things to know about Mon Purse: Firstly, it puts YOU at the core of the business. Secondly, Aussie influencer Margaret Zhang of Shine by Three is a creative consultant. Thirdly, the middleman cost of making a luxurious leather bag gets cut out, so the final price tag is more tempting than you'd imagine—we're talking about approximately £200 for a big shopper. And with a recent (massive) cash injection and the unique brand about to expand into the UK and U.S., guess who got the trial the ingenious 3D bag builder first? Yours truly. The pressure was on: How could I create the bag of my dreams? What even was the bag of my dreams? After endless amounts of scrolling on the Mon Purse Instagram account for inspiration—both the in-house snaps and everyone else's creations fill up this creative feed—I was overwhelmed but feeling psyched. So many colours. So many options. So many chances for me to screw up and not get the exact thing I'll be happy with. You have various shapes to choose from—bucket to tote, unisex backpack to simple pochette—so that's the place to start. What kind of bag do I not have in my admittedly busy wardrobe? I asked myself. A speedy-style bowling bag. Everything else I own is either gigantic or teeny tiny, so this is a wise compromise, I think. What did I learn? Plenty of research and thought beforehand made my decision easier, but it was the seriously high-tech renderings (to make your bag come to life, Mon Purse have invested in the type of advanced software that the gaming industry uses for the effect of leather armour and skin) certainly helped. Am I happy? Aside from being impressed by the quick turnaround, quality and tech used, I'm thrilled to have a handy number that fills a gap in my closet. My only small gripe: From an aesthetic perspective, I would have loved the two top handles to have been slightly shorter so the shape looked a little more retro, but that's a personal choice I'm sure may one day become an optional reality as Mon Purse develop their business. Upon closer inspection, you'll see that no little finish or flourish is left untended to on a Mon Purse bag. From the care instructions package you'll receive to the cloth bag, added cross-body strap and contrast interior trims, it's hard to fault the attention to detail. DIY? It's easy when they make it look this luxe.